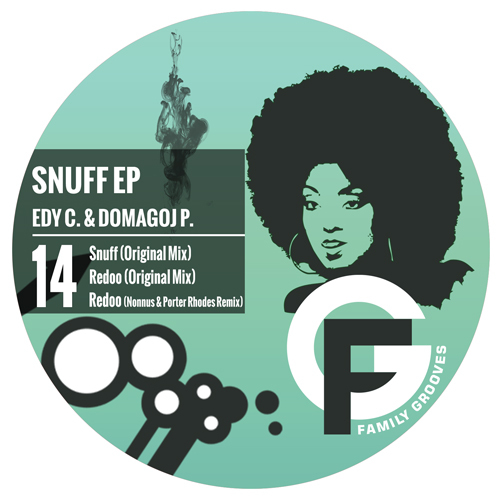 Family Grooves is proud to announce our 14th release “Snuff” by two DJ’s and producers from Sibenik, Croatia – Edy C. & Domagoj P.
This release kicks off with great groove covered with some tribal elements and discrete vox which you can drop peak time or early morning with great feedback! We are really excited to have two amazing producers on the remix, Nonnus & Porter Rhodes. Their remix is dynamic and well composed, presenting great peak time atmosphere made to twist the dance floor.